← I’m On The Cover Of The Tustin News! Something about those vintage classic cars. Gary and I have been to a few of the classic car shows. I’m always in awe of the beauty and history when viewing each car up close. Gary was born in 1951, so I thought it would be most appropriate to add the 51 as part of the title. I so enjoyed doing research for my version of the Ford 1951 Woody! This was designed for “Noble Seasons” This exhibit will be in travel mode for most of 2012. The theme is Winter. The title, Winter of 51. My imagination takes off on its own many times. I really enjoy adding the feeling of warmth to my work. Many of my pieces are usually started and completed in soft muted warm tones. Now that this piece is completed and the deadline met, its time to get back to my Jazz Singer! she is just about finished! I’ll post her soon…Enjoy my Winter piece. 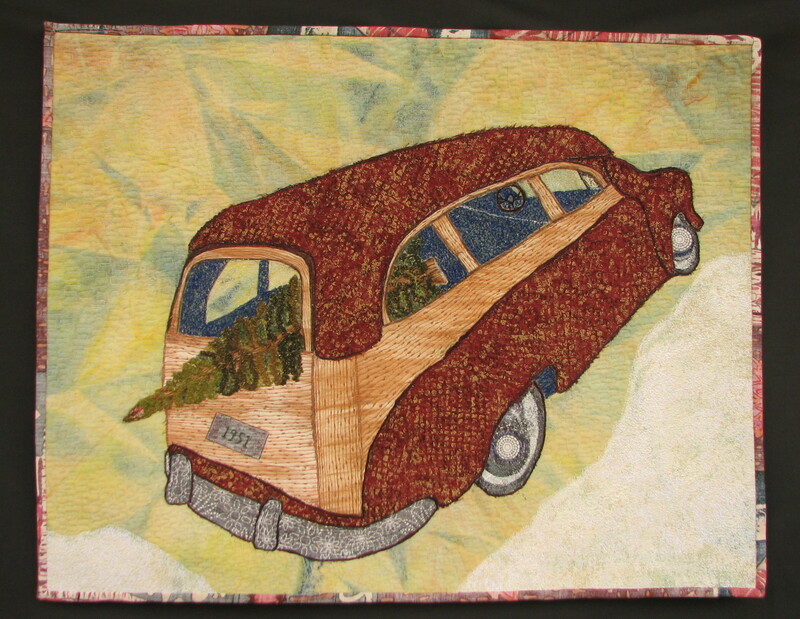 The background was hand painted on cotton canvas, the car is all raw edge work, the tree was done with a cool variegated yarn from the reverse side of the quilt, the snow area was quilted from the reverse as well as the front side. 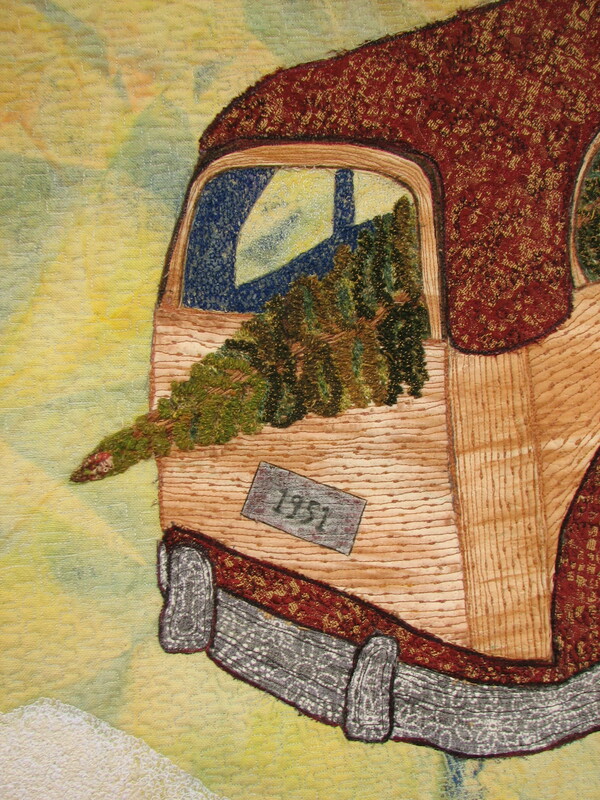 The entire piece is quilted heavily. I would love to know your thoughts! This entry was posted in Happening Now 2011. Bookmark the permalink. I love it – very nostalgic. My Winter is done, too! Check it out. This is such a fantastic, nostalgic piece! I love your design and your stitch to depict the wood grain is clever and PERFECT. That is an awesome piece! You must be very proud. Saw this at Road. Love it!